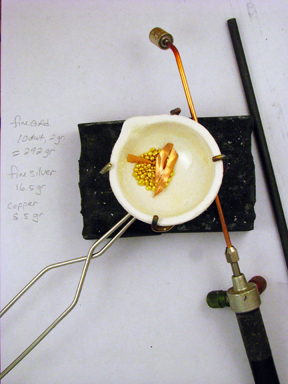 It’s a really good idea to alloy your own gold for granulation. Commercial 22k gold can be unreliable if you are trying to fuse it. So, here is my process for making my own. 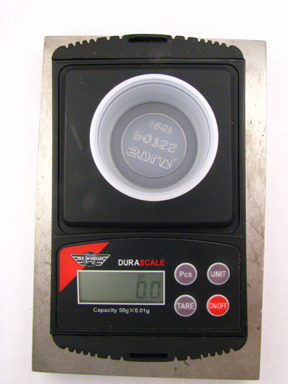 ­Place the cup on the scale and use the TARE button to zero out the weight. Measure 240 grains of fine gold in the cup. Place into crucible. ** My scale is so sensitive that moving the air around the scale while taking the photograph caused the weight value to change. The weight change is miniscule so I ignore it. 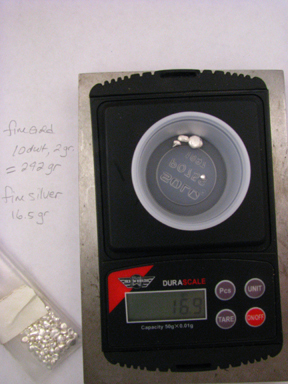 Measure 16.5 grains of fine silver. Place into crucible. 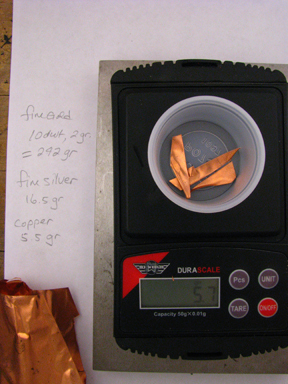 Measure 5.5 grains of copper. Place into crucible. Light the torch by turning the knobs on the hand piece. Acetylene (red) first, then oxygen (green). Remember fuel first. Warm the ingot mold with the flame and then heat the metal mixture in the crucible. You can rest the crucible on a charcoal block or place in an annealing pan. When the metal is molten, put in approximately one teaspoon of Borax and stir the metal/borax mixture with the graphite rod. 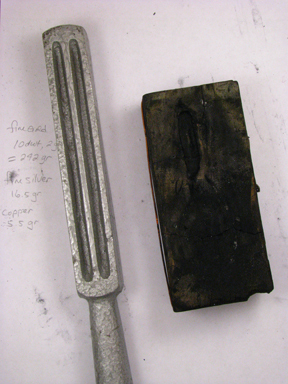 While keeping the flame on the crucible, pour the metal into the ingot mold. You are now ready to start milling down your wire. 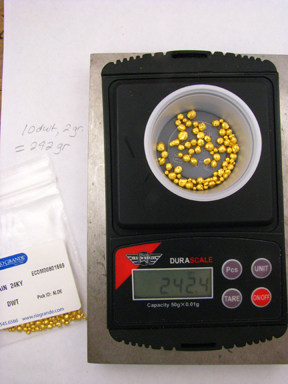 Posted in Granulation and tagged 22k gold, alloy, granulation. Bookmark the permalink.